Next week the Indian Space Research Organisation (ISRO) plans to launch 104 satellites in one go aboard its Polar Satellite Launch Vehicle (PSLV-C37) that will take off from Satish Dhawan Space Centre in Sriharikota, India. To give an idea of the enormity of what ISRO is attempting, the current world record for satellites launched in a single mission is 37 by Russia in 2014. In addition, over the last fifty years the average number of objects launched in space in an entire year is only 138, according to the Online Index of Objects Launched into Outer Space maintained by the United Nations Office for Outer Space Affairs (UNOOSA). Furthermore these figures reveal this single mission will exceed the number of objects launched into space for the twelve months of 1996 and for the years 2001 to 2006 inclusive. This mission was originally planned to launch 83 satellites, then an additional 20 were added to the payload and finally a further nano-satellite was squeezed in. Of these 104 satellites, 3 will be Indian satellites and the remainder will be small satellites from countries including Germany, Israel, Kazakhstan, Netherlands, Switzerland, and the US. One of the key challenges is to ensure that they do not collide. ISRO plans to achieve this by changing the degree of angle for each batch of satellites launched. It is expected that the entire batch of satellites will be launched within 90 minutes. Cartosat 2D is the next satellite in India’s Cartosat mission. These satellites carry both high resolution multi- spectral imagers and a panchromatic camera, and the mission focus is cartography. It has a sub-metre spatial resolution, a 10 km swath and a revisit period of four days. This is the primary payload, and will be the heaviest satellite on the launch vehicle at 730 kg. 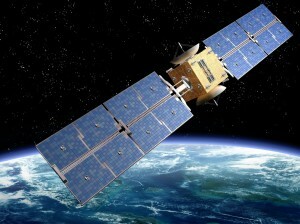 Planet’s Flock 3p which consists of 88 satellites, and will be the largest constellation of satellites ever launched. Planet was in the news last week as it confirmed it had completed the purchase of satellite imaging company Terra Bella from Google. Terra Bella’s SkySat’s fleet of high resolution satellites will complement the existing global coverage of Planet’s existing courser resolution fleet. When combined with the new satellites, this will help Planet to achieve their aim of imaging the entire globe every day. Thereby, offering a wide range of potential capabilities for Planet in the satellite data reseller/supplier market. ISRO’s launch is currently scheduled for February 15th and will demonstrate a new level of efficiency for cubesats; something that is becoming increasingly important. We’ll be watching closely, and wish them luck. Can we launch a satellite? This entry was posted in Data, Earth Observation, Remote Sensing, Space Industry, Understanding Space and tagged Cartosat 2D, cubesat, data, Earth Observation, Flock 3p, Google, India, Indian Space Research organisation, ISRO, Planet, satellite imaging, SkySat, Terra Bella, United Nations Office for Outer Space Affairs, UNOOSA by Andy. Bookmark the permalink.